Certified Nursing Assistant Job Description: Nursing Assistants help a Registered Nurse or Licensed Vocational Nurse by obtaining vital signs, organizing medical equipment, administering personal hygiene, and completing other basic healthcare tasks. Nursing Assistants provide patients with basic care, and help them complete daily activities. CNAs are also responsible for cleaning and bathing patients, helping them use the bathroom, dressing them, serving them meals and helping them eat. They may also assist patients by monitoring their vital signs, helping them turn or reposition themselves, dispensing medication and transferring patients to beds or wheelchairs as needed. Certified Nursing Assistants also have the potential of working with a varied client base, including developmentally delayed adults or children, and not limited to the elderly. Positions additionally exist in schools where CNAs assist with developmentally delayed children to enable them to attend regular classes. Furthermore, Certified Nursing Assistants (CNA) often listen to and record patients’ health records or concerns, and report this information to a nurse for practitioner. Learn the difference between a career as a CNA vs Nursing Aide. “Working as a CNA is a very fulfilling career, and the best way to test how you will do in the medical field if that is your desired job choice,” Amy Maw, CNA, a Certified Nursing Assistant practicing in Utah, said. To become a Nursing Assistant, professionals must complete a state-approved education program in addition to passing a state-designated competency exam. After passing this exam, CNA’s are placed on a state registry, which is a requirement to work in a nursing home setting. Typically, Nursing Assistant programs can be pursued through community colleges, technical schools, hospitals and nursing homes. Thus, this career in healthcare is perfect for someone wanting to complete their education in two years or less! Learn about other healthcare careers achievable in two years or less! There are many ways for CNAs to advance in their career paths, including the pursuit of more schooling to become Licensed Practical/Vocational Nurses or Registered Nurses. Alternatively, Nursing Assistants may choose to take additional courses to earn more advanced credits. By taking additional courses, professionals may become eligible to progress to more technical positions. Other fields within the realm of healthcare that Nursing Assistants may choose to pursue involve administration and research/education. There are many different paths a Nursing Assistant can take, the right one is truly up to the individual and their interests! “Some CNA careers will let you become a coordinator, or even an administrator for the building, but you must be willing to work hard so leadership knows you are serious about advancing,” Maw confirmed. Strong written and verbal communication is imperative in a career as a Certified Nursing Assistant. 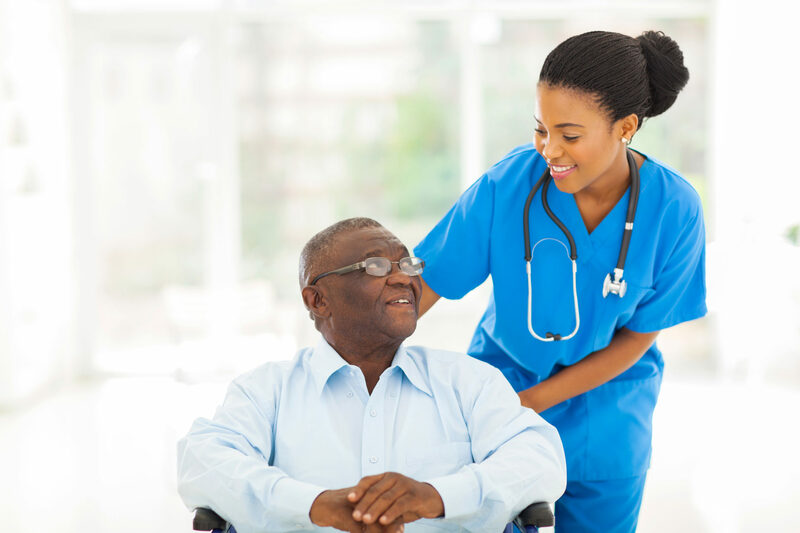 More-so pertaining to the care of patients and residents, Nursing Assistants should possess physical stamina, allowing them to lift, transition or move their patients. Additionally, this endurance can be critical as CNAs may spend much of their workdays on their feet, and moving from patient to patient. Furthermore, to be successful as a Nursing Assistant, professionals should possess a number of other characteristics including strong interpersonal skills. In this career in healthcare, effective communication skills are essential because Certified Nursing Assistants must determine and address a patient’s or resident’s needs and concerns. They must also be able to relay this information to other healthcare professionals who work first-hand with a patient. Additionally, because the role of a Nursing Assistant may include some more mundane and routine tasks, such as cleaning, feeding and bathing patients, they must possess they must possess a high level of patience. Patience may also be needed when particular patients or residents present challenging circumstances (i.e. a reluctance to be bathed). Lastly but by no means least, Nursing Assistants should have a caring disposition and a commitment to the patients in their care. The scope of the position, including tending to the sick, injured and elderly, can be emotionally demanding, and thus these professionals must be able to complete their tasks while maintaining composure and exhibiting compassion and empathy. “You also need to be kind, thoughtful and have a sense of humor, because some of the stuff you see, you just have to laugh off,” Maw said. “Above all, this career is both physically and emotionally strenuous, but very rewarding” Maw shared. As a Nursing Assistant, most professionals are employed full-time, yet their hours will vary. This is because both hospitals and nursing homes have a need for Nursing Assistants throughout all hours of the day. For this reasons, Nursing Assistants may be asked to work evenings, nights, weekends or holidays. In treating their patients, CNAs often work with Licensed Practical Nurses, Nurse Practitioners, Pediatricians, Family Physicians, Surgeons and other healthcare professionals. A career as a CNA is also an excellent starting position for anyone hoping to later become a Social Worker. Also, because these professionals are asked to lift, transition and move patients, their work tends to be more physically demanding. To help eliminate the risk of injury due to these oftentimes strenuous physical demands, Nursing Assistants normally receive training on how to properly adjust patient positions as needed. Do you enjoy helping others? This career in healthcare could be the perfect match for you! There is no better time than now to begin a career as a Nursing Assistant! Why? Employment of Nursing Assistants is projected to grow 11 percent over the next decade, a rate much faster than the average for all occupations. Ultimately, this growth can be attributed to an aging baby-boom population which today has an increased need for nursing home services and long-term care facilities. Learn about other careers in nursing today! In terms of Nursing Assistant positions, nursing case facilities tend to hire the greatest number of these employees, followed by state, local and private hospitals. Other employers of Certified Nursing Assistants include retirement homes, assisted living facilities, home health services and the government. Also, the state with the highest employment levels in this occupation is California, followed by New York, Florida, Texas and Pennsylvania. There are so many opportunities within this rewarding career in healthcare! “My first CNA position was through a friend, the second and third I secured through my local classifieds application. As for my current employment that I have held since 2015, my boss found my resume on Indeed.com,” Maw explained. “Earnings really depend on your experience and where you will work. Hospitals and home care/hospice are usually the highest paying, and hospitals usually come with the best benefits,” Maw advised. As of 2016, the median annual wage for Nursing Assistants rested at $26,590. While the lowest 10 percent of these professionals earned less than $20,040, the highest 10 percent were recorded to have earned more than $37,900. Furthermore, the highest paying employer of CNAs was the government, followed by hospitals, nursing care facilities, retirement homes/assisted living facilities and lastly home healthcare services. The top paying state for this occupation is Alaska, followed by New York, Nevada, District of Columbia and California. The National Association of Healthcare Assistants (NAHCA) is an organization designed with the purpose of elevating the professional standing and performance of caregivers through recognition, advocacy, education and empowerment while building a strong alliance with health care providers to maximize success and quality patient care. The National Network of Career Nursing Assistants is an organization which promotes recognition, education, research, advocacy and peer support development for nursing assistants in nursing homes and other long-term care settings. 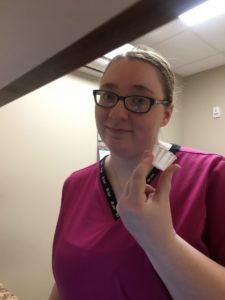 Why did you choose to become a Certified Nursing Assistant? Nurse Aide vs CNA vs Orderly – What’s the Difference?